The Vue randombly projects changing moon flower patterns in red, breen and blue LED light. Built-in sound activation. Includes a clamp to hang from a ceiling bar or light tree. 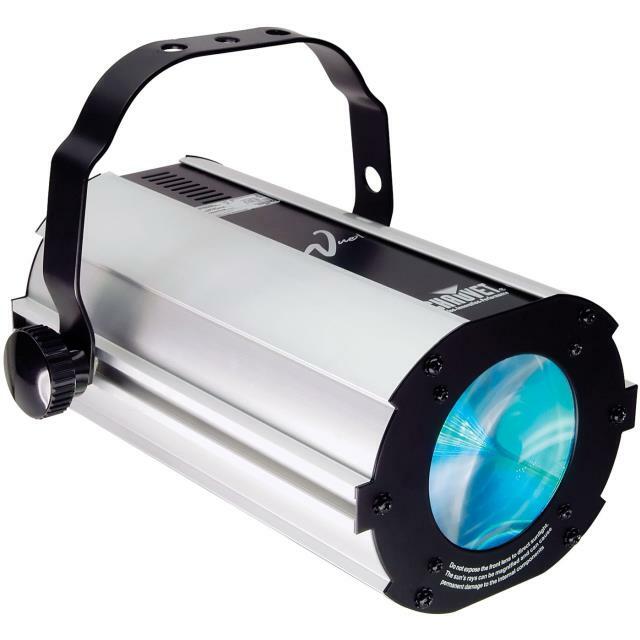 The use of a fog machine will make the individual beams of light visible throughout a room. * Please call us with any questions you may have about our vue led light audio modulated rentals/sales in State College, serving Central Pennsylvania.